Open myUNG and sign in. Click on Directory in the top menu. 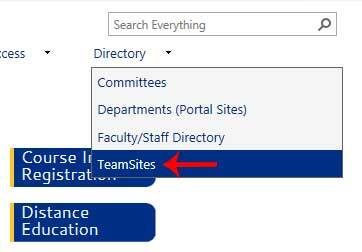 Select TeamSites in the drop down menu. A list of TeamSites that you have permission to will be displayed. 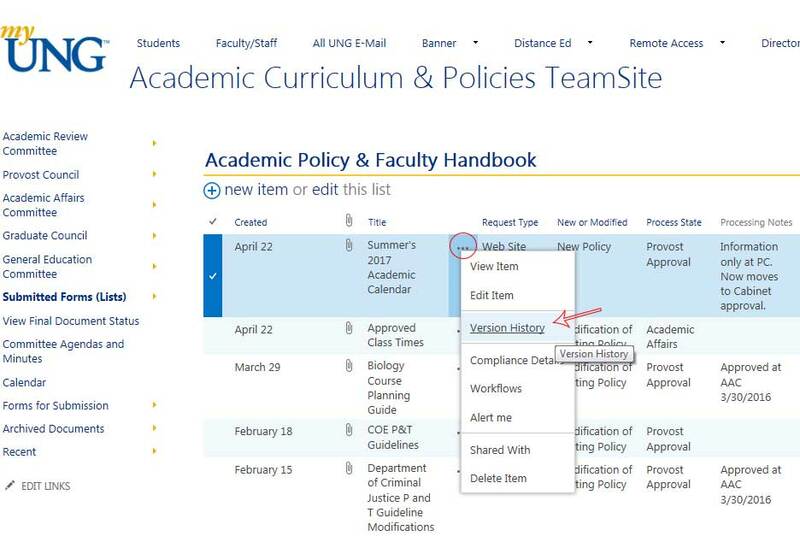 Click on 'Academic Curriculum & Policies TeamSite'. Locate Submitted Forms (Lists) on the left navigation. 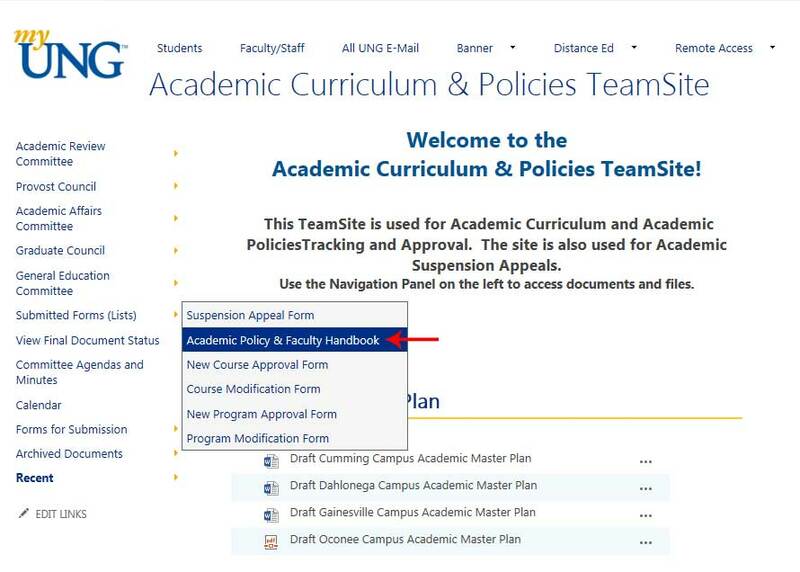 One the fly-out menu, select Academic Policy & Faculty Handbook. This listing can be sorted and filtered by clicking on the column heading. 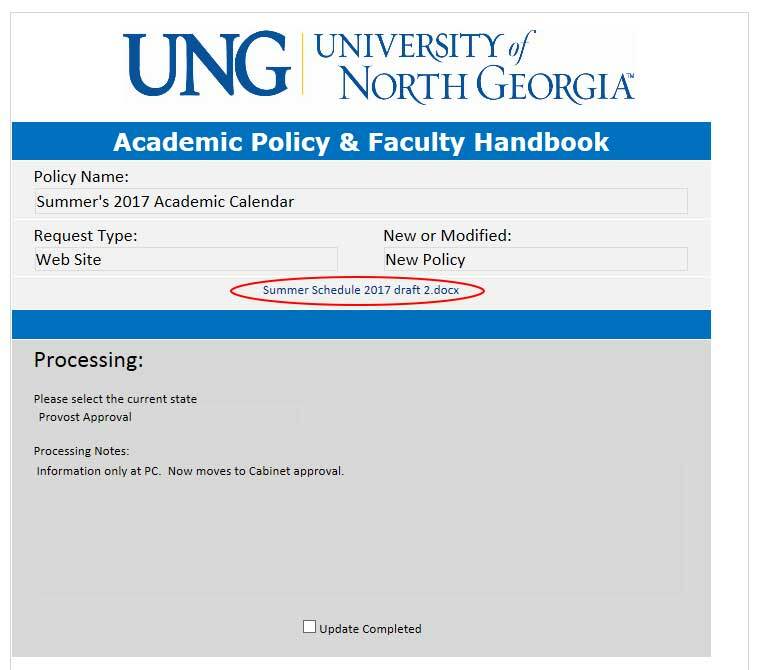 To view a proposal, click on the title. 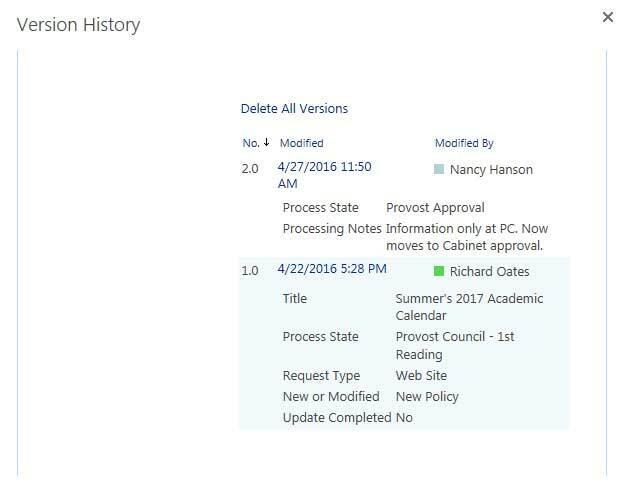 Once the proposal is displayed, you will be able to see the type of request it is, the process state, as well as the committee that it is assigned to. You can also see the supporting documentation by clicking on the name of the files that are attached to the request. By clicking on the ellipsis you will be able to see the version history. This shows the changes to the process state as well as any modifications to the proposal. This is an example of what the version history will look like.